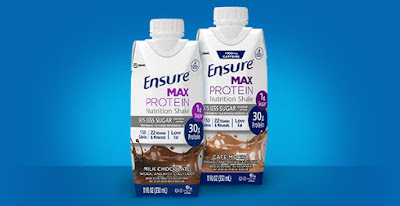 Savvy Spending: Kroger: Free Ensure Max Protein Single Shake coupon! Clip today, use by 8/26! Kroger: Free Ensure Max Protein Single Shake coupon! Clip today, use by 8/26! Kroger shoppers can load an eCoupon for a FREE Ensure Max Protein 11oz Single Shake (any variety) to their savings card. This offer is available to load to your store card today only but doesn’t expire until August 26th.